The sense of smell – did you know that it is the most powerful trigger to a person’s memory? Our sense of taste comes in second, having a whopping 15% chance of memory retention through tasting or eating something. It still doesn’t come close, however, to the sense of smell’s 35%. It’s a proven fact that we’re more likely to remember something we’ve smelled compared to remembering something we’ve touched, tasted, heard and even seen. A person translates smells or scents differently; it’s a very subjective process because we, most of the time, associate a smell or a scent with a specific memory like, for some people, the smell of pumpkin brings them back to the most memorable Halloween they had when they were little. Other people associate this smell with memories of their mom baking their favorite pumpkin pie. Now, what do smells have to do with all this? A lot because those scented gift sets with the lotion, spray cologne, body wash and, sometimes, candles that you’ve seen in several shops like The Body Shop or Bath and Body Works actually make great gifts if you want someone to remember you better or if you want to make a good impression on someone. Other than finding a set that has the same scent in all the products, the trick is to find a scent that means something to the person you’re giving it to. These types of gifts may seem uneventful but it’s just like smells. A smell is just a smell without a specific memory related to it. You see, incoming smells are first processed in our olfactory bulb. The translated information from the bulb will then be sent to the key regions of the brain linked to emotions and memory, the hippocampus and amygdala. How the info is decoded in these parts of the brain greatly affect how we react to a certain type of smell. Also, what’s interesting is that smells or scents actually have the ability to affect our mood, stress levels, as well as our physical and cognitive capabilities, not just our memories. A great example is Australian psychologist John Prescott’s study of how sweet smells could increase our pain tolerance. 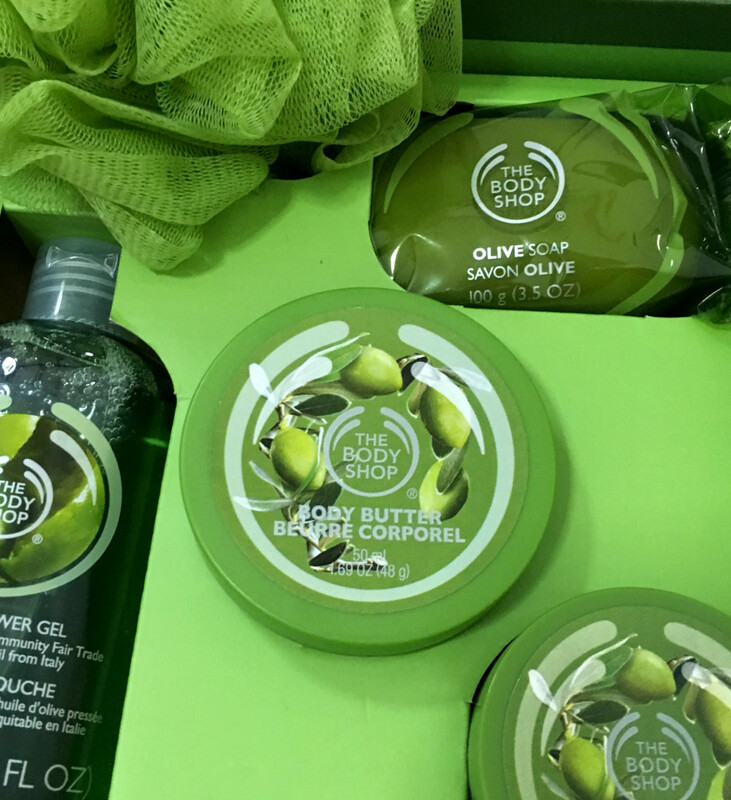 I thought I’d do an experiment and put a scented gift set to the test by consistently using a gift set I recently purchased from The Body Shop. I chose the scent of Olive because, to me, it smells energizing, refreshing and familiar. The earliest memory that I have with this scent was when I was about 17 years old when a former suitor gave a bottle of body oil with this scent to me as a present. It was my first time receiving, to my perspective, an extravagant gift and so I enjoyed every spritz I did with the body oil he gave. In short, the scent does invoke very pleasant memories. Every time, I stepped out of the bath, I felt like my energy levels improved. I felt ready to take on my tasks for the day. At night, I would linger in the tub and I would loofah my skin with the olive shower gel. I also used the scrub for my feet, knees and elbows. I felt very relaxed during the scrubbing process but the scent still made me feel more energized rather than calm and ready for bed. I read an online article about a study determining the effects of the smell of olive oil on satiety. I’d have to admit that olive oil smells nothing like the set but it was worth a try to see if the smell from my gift set affected my hunger in any way. To note this observation, I applied a small amount of body butter on my hands every 3 hours during the day. 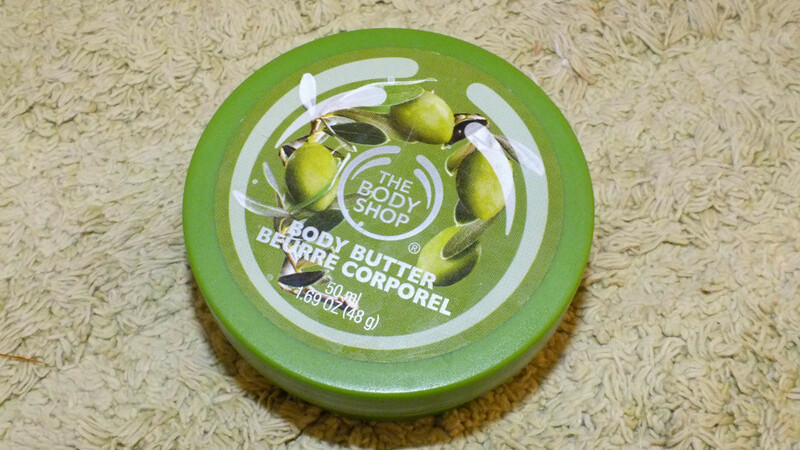 Interestingly enough, and this effect may just be on me, I didn’t feel the urge to snack as much compared to when I wasn’t using or smelling the body butter. Because I applied the body butter on my damp skin, the scent of the olive set from the Body Shop lingered for about half a day with people around me noticing and complimenting me on how lovely I smelled. I am not sure if this was because the scent itself gave me the energy and confidence boost I needed. Nonetheless, to the people around me the smell was really attention catching. It was more of the men who noticed and complimented me on how “nice” I smelled. So, Why Scented Gift Sets as Gifts? You’ll have no problems finding different scents at shops near you or online through Amazon because gift sets have always been in abundance even when their’s no sale or even if it is after the holidays. Include personalized instructions on how they can use the set. Search for tips online on how they can prolong the scent of the set through layering techniques. If the set you gave includes a massage oil (and granted that the person you gave the set to is your wife, husband or significant other), draw a sort of massage coupon that they can show you when they need a bit of relaxation. If you have candles on your set, and if you’re going on a long trip, you might include a short note that says: “Light the candle whenever you miss me.” – this is a very romantic touch. Whatever you do, get creative with it and put your personal touch on the scented gift set you’d like to give. The more personalized it is, the more that the set will be memorable and, by extension, the more memorable you will be too.